HOBOKEN, New Jersey, October 29, 2013 (ENS) – Rising temperatures and shifting, capricious precipitation patterns are affecting where, when, and how much water fills America’s rivers, lakes, and reservoirs, and how water is absorbed to replenish groundwater reserves – putting tremendous pressure on communities and businesses who compete for that water. Current climate change trends and climate computer models point toward difficult hydrological times ahead across the United States. The water needs of a rapidly-rising population and agricultural, energy, and industrial demands are now colliding dangerously with climate change, destabilizing water resources with different repercussions across the country. While the West appears to be moving toward “super drought,” the Northeast is deluged with intense thunderstorms bringing more frequent, record-breaking flashfloods. And the Midwest and South are experiencing “weather whiplash,” seesawing between torrent and drought. But everywhere, the solution is the same – conservation, preparedness and adaption – along with real efforts to curb fossil fuel use and greenhouse gas emissions. I live in the Northeast, and now, for me, climate change is personal. It’s been almost a year since Superstorm Sandy submerged my city, Hoboken, New Jersey – and my home – in toxic floodwaters laden with oil, sewage and chemicals. On that horrific night, my family and I gathered in the dark with neighbors on the top steps of our building, stranded in a waterworld as winds roared and storm waters surged. Though we live a half-mile from the Hudson River, a wall of water flowed up our street – it felt like a sci-fi movie – and blew our basement doors off their hinges. Six feet of water rushed in, knocking out the building’s heating and electrical systems, ruining a lifetime of uninsured personal possessions and doing some $50,000 in damage. The next day, streets flowed with reeking black water and the National Guard arrived with lifeboats and military vehicles to save thousands of stranded Hoboken-ites. The flooded PATH tunnels to New York halted trains used daily by 30,000 commuters. 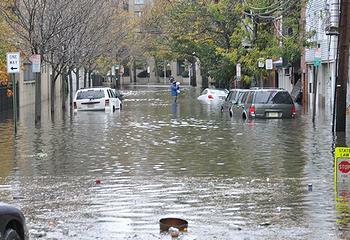 In just hours, Sandy brought city life to a shuddering halt, and flooded coastal communities from Maryland to Maine. But Sandy tells just part of the story of the Northeast’s intensifying storms. The magnitude and regularity of freakish flashflood-causing thunderstorms here has grown exponentially in recent decades. In August, for example, flashfloods struck the towns of Waterville, Maine; Torrington, Connecticut; Cranston, Rhode Island; and Tewksbury, New Jersey; this month, record rains fell in Washington, DC. The heaviest of these sudden storms can dump a foot of rain in just hours, inundating homes and businesses that lack flood insurance because they are located on high ground not historically prone to flooding. In January, a congressional report concluded that severe weather is the new norm across the nation – the frequency and intensity of droughts, heat waves, downpours and floods have increased due to human-induced climate change caused by burning fossil fuels. The science is simple. In a warming world, the atmosphere holds more water, bringing frequent, heavier rainfall, six percent more nationwide than a century ago. The trouble is that water isn’t falling uniformly across the country. According to the National Oceanic and Atmospheric Administration, NOAA, between 1958 and 2011 the amount of rain falling in heavy downpours increased by an astounding 74 percent in the Northeast, turning rivers and creeks into torrents, tearing up undersized culverts, and wrecking streamside roads. By 2100, scientists expect New England’s precipitation to increase by 10 percent in spring and summer, 15 percent in fall, and 20 to 60 percent in winter. By then, New York City may be submerged in a 100-year flood once per decade. However, the West is seeing the reverse. Despite recent record flashfloods north of Denver, the American West has withered under worsening drought for more than a decade. 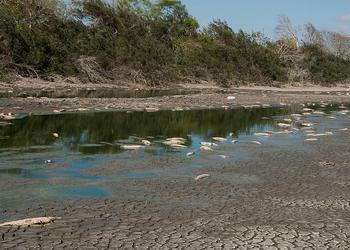 In Texas, 30 communities could run out of water by year’s end, says the Texas Commission on Environmental Quality. Nearly 15 million people are on water rationing, and the drought is forecast to continue for five to 15 years. More than 40 percent of the continental United States was in moderate or worse drought at the end of September, according to the U.S. Drought Monitor – almost all west of the Mississippi River. Water has always been in short supply in the West, but climate change further threatens this finite resource. Mountain snowpack is declining and melting earlier and rainy days rarely come. Meanwhile, needs are outpacing availability. By 2050, U.S. population will surge by 86 million people – topping 400 million, with many settling in thirsty Western cities. Agriculture will need more than its current 142 billion gallons per day as temperatures rise and drought deepens. 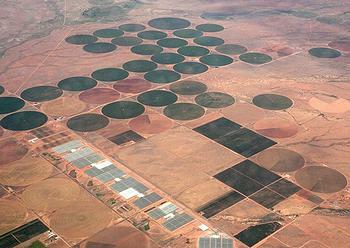 Drought also impacts Western energy production. Hydroelectric dams supply more than 20 percent of Western electricity – and output can decrease by a factor of five during drought. There’s a 50-50 chance that Arizona’s Lake Mead will dry up by 2021, forcing Las Vegas and parts of California to find power elsewhere, say Scripps Institution of Oceanography researchers. Water-intensive fracking for natural gas is skyrocketing in drought-stressed regions, especially Texas and Colorado. Between January 2011 and September 2012, 25,450 wells used 65.8 billion gallons of freshwater, the amount 2.5 million Americans use in a year. Competition for scarce water is pitting towns against farms, farms against industry, and states against states. In a recent battle between Texas and Oklahoma over water, the Supreme Court ruled that a state controls the water within its own borders. Seven states are feuding over Colorado River water. Elsewhere, a Texas lawsuit alleges that New Mexico is pulling too much water from the Rio Grande. If the trend toward drought continues, as most climate models predict, the arid West will face water bankruptcy. In coming decades, shortages could impact public health, commerce, and wildlife. Drought could crash food production. Yields of 36 U.S. crops are expected to decline by mid-century. Rising population and exploding development are also placing heavy demands on the Midwest’s and South’s finite water resources, even as climate change destabilizes those resources by intensifying droughts and floods. In 2012, the Great Plains drought was more extreme than the worst of the 1930s Dust Bowl. With almost no rainfall, corn harvests plummeted to a six-year low. By September, over 94 percent of the region was affected. Wisconsin, Iowa, Missouri, Indiana, Minnesota, Illinois and Ohio ranked in the top 10 for extreme heat, breaking most high temperature records. That catastrophe cost $30 billion, according to NOAA. Then in 2013, the torrential rains drenched the Midwest. Downpours of five, 10, even 15 inches triggered flashfloods, swelled the Missouri and Mississippi rivers and submerged Midwest states. With fields inundated, farmers were forced to delay planting. In the U.S. Southeast, whiplash weather is the new norm, finds a Duke University study. Three years of high heat and poor precipitation have parched an area stretching from the Carolinas to Texas, costing a whopping $10 billion in crop losses in 2011 alone. But this year, downpours inundated parts of the region. Floodwaters submerged Atlanta suburbs, killing eight people and plunging 17 counties into a state of emergency. Climate change is hitting the Midwest hard. Intense drought or flood has damaged homes, businesses and crops, wrecked roads and bridges, discharged industrial chemicals, raw sewage and other pollutants into waterways, and knocked out power, among other harms. In 2011, 11 of the 14 weather-related disasters with damages topping $1 billion happened in the Midwest. These extreme weather swings threaten water infrastructure, emptying reservoirs completely, then suddenly overfilling them, putting dangerous pressure on aging dams. During severe storms, streamside sewage treatment plants are overwhelmed and many industrial hog and chicken farm waste ponds flood, fouling downstream drinking water. Industrial pollutants become more concentrated and potent in streams and lakes as water evaporates during drought, and they can contaminate playgrounds, schools, homes and businesses during flashfloods. It is clear that climate change and its widely varying water impacts will require a range of solutions. We must adapt and plan for flash flooding. That means redesigning infrastructure – reinforcing or removing aging dams and enlarging stream culverts, and fortifying Northeast coasts with dunes, oyster reefs, or sea walls. In some cases decisions will be made to surrender once-valuable coastal and stream floodplain properties back to nature. With one-third of the U.S. population living in Northeast coastal areas between Boston and Philadelphia, such infrastructure and community adaptation in advance of rapid climate change will be economically costly. 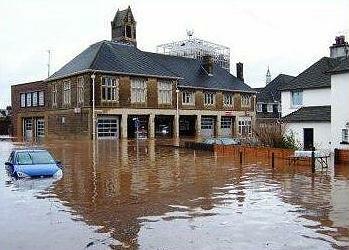 But it will be far more costly and tragic if we fail to act now, before oceans rise further and severe weather worsens. Likewise, perhaps it’s time that we question whether we should be heavily farming and expanding major cities in the Western desert. In the West and across the nation, addressing the growing water crisis means radically rethinking water usage. Current consumption and waste is utterly unsustainable. Agriculture laps up 80 percent of the nation’s water use, according to the nonprofit American Rivers. Fortifying leaky irrigation systems, planting less water-intensive crops in dry areas, and properly treating wastewater for crop production will conserve water. We also need a long-term solution for the equitable allocation, use and conservation of groundwater based on scientific criteria and cooperation, not competition and litigation. As aquifers drain, states should adopt legislation that carefully weighs water uses in the public interest. Drinking water and ecosystem needs must balance with industrial and agricultural demands. And we must – as the world’s second largest contributor to climate change – alter our energy policies, moving away from all fossil fuels in favor of clean energy. Nationwide, we need a strong, sustained, and well-coordinated effort between federal, state, and municipal governments, businesses, nonprofits, and the public to lower emissions in each of the four largest greenhouse gas-producing sectors: electric power, buildings, transportation, and industry. If we are to thrive in the 21st century, states that maintain strong resistance to climate change legislation mus reverse their position. Otherwise, as the Northeast is battered by superstorms, much of the rest of the country may find itself between a hot rock and a dry place, without a drop of water left to drink. We must make climate change a top priority. We must act as if our lives – and the lives of every living thing on Earth – depend on it. Because they do.